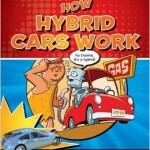 Combining the popular subjects of environmentalism and new technology, hybrid cars make for an ideal topic for middle-grade readers. 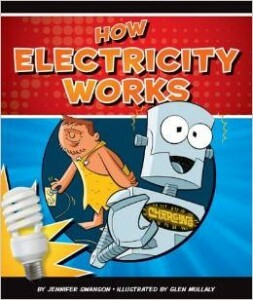 This volume in the How Things Work series is bouncy, savvy, and, above all, clear; it is hard to come away without a working knowledge of everything from the mechanics of hybrid engines to why dependence on foreign oil is bad. 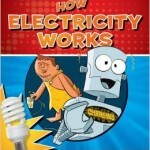 Hosting the series are two cartoons - a robot and a caveman - especially apt choices for a book couched in the concept of discarding old energy sources for new. (When the caveman plugs his PHEV car into one of the robot's sockets, the robot deadpans, "This is humiliating.") A four-page time line explains the history of the concept, while bright cutaway illustrations show how the hybrid saves gas and how a fuel cell converts hydrogen gas. But the main event is Swanson's gift for making complicated subjects crystalline. To explain greenhouse gases, she compares them to the heat that builds up inside a parked car because of the glass windows - a swift, germane metaphor. 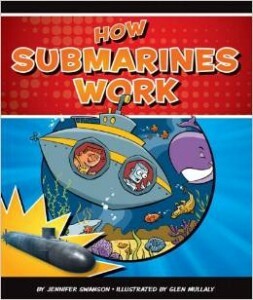 The back matter is a bit skimpy, but otherwise this is a model of how to make science appeal to young readers. This vibrantly–illustrated book on hybrid cars, one of a series of 13 on "How Things Work," is very informative, with a relevant message for our society. 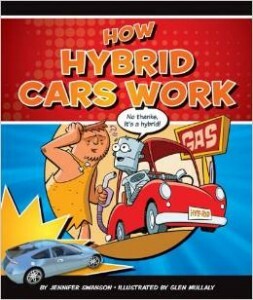 The author (a middle school science teacher) explains greenhouse gases and global warming at an appropriate level, then connects the information to the importance of hybrid cars. 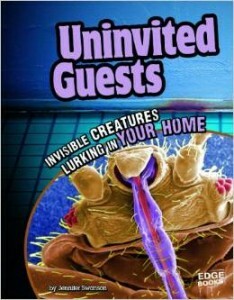 The book begins with a child and parent leaving for soccer practice. The mom must first check the battery and the hydrogen level of the car before they leave their home. 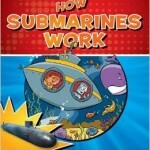 The remainder of the book is divided into interesting fact–filled sections. There is a labeled diagram of a hybrid car in the text as well as a page listing the benefits of a hybrid car. An entire section which details how a hybrid car works will be very helpful to students and teachers. There is also a list of the four most popular hybrid cars on the market. 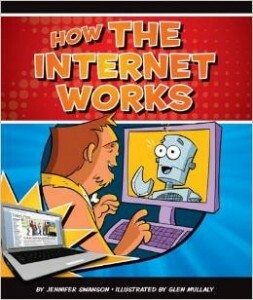 The book is not text–heavy so it will be an easy and quick read for students. There are great nonfiction features in the book, such as a wonderful timeline which begins in 1769 with the first steam–powered carriage built in France, and ends in 2011 with more than forty hybrid cars around the world. 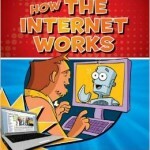 A neatly illustrated comic book style “Table of Contents”, index, glossary, and “Find Out More” section complete the book. 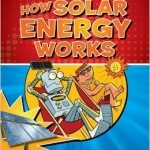 Teachers can use the book as a supplement to a unit, librarians could use the book as a read–aloud on Earth Day, and students would find the book useful for a science report on hybrid cars. 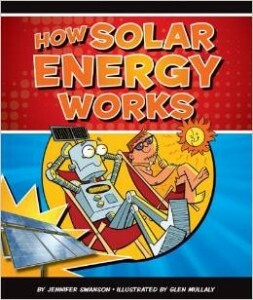 Presents information about solar energy, including its history, the science behind solar cells, how they work, and possible future developments. 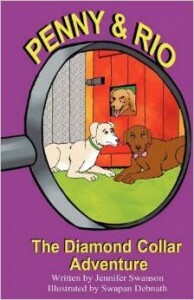 The dynamic canine detectives, Penny and Rio, escape from the backyard for the first time in search of a valuable diamond collar lost by Hannah, the beautiful show dog. During their search for the misplaced treasure, they encounter Ted, the loveable and energetic collie, Sarge, the belligerent and forceful German shepherd, and an obstacle of epic proportions. 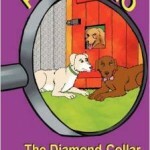 But just when it feels like Penny has reached the end of the adventure, the prize is ripped from her grasp. Solving this new problem will take all the ingenuity and determination these dog detectives can muster. The crime-fighting dog duo of Penny and Rio are on the case again! 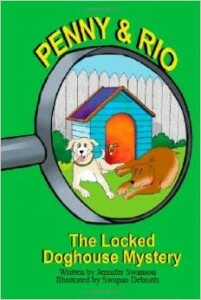 Squeaky the mouse desperately needs their help to recover his precious belongings from a locked doghouse next door. But will Hobbes, the Great Dane, who lives in the yard object? Through an inventive plan, the resourceful pair strive to solve this mystery. Can they recover Squeaky’s belongings before the doghouse is destroyed? Follow along as the dynamic detectives, Penny and Rio, discover that they can do anything, as long as they work together. Penny and Rio are two dogs who are complete opposites. Penny is curious and always on the go, while Rio prefers a good nap. At their new house, Penny discovers that their backyard is the meeting place for several different animals. Penny doesn’t know why a cat, a groundhog, a squirrel, and an owl could possibly be meeting, but she knows she has to find out. 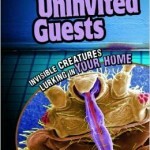 She comes up with an ingenious plan for spying on them and discovers their plot. She has to stop them – but can she get her sister dog, Rio, to help her or will Rio decide that sleep is more important? 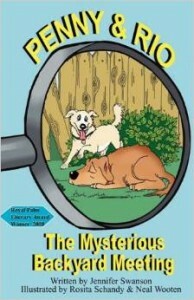 Follow along as these two pet detectives, Penny and Rio solve the first of many cases in Penny and Rio: The Mysterious Backyard Meeting.